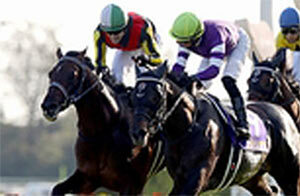 The JRA’s 2019 horse racing season will start in earnest with the three-year-old classic trials in March as horses begin to prepare towards the spring G1 events. In this special Spring edition of our international newsletter, we are pleased to bring you up to date on the progress of last year’s stars and this season’s key runners, part of our ongoing effort to support your reporting of JRA events. Challenges abroad by Japanese-trained horses resulted in one or more G1 titles every year from 2011 to 2017, but expectations are high for renewed success this spring when a number of top Japanese runners will seek success against international competitors. The coming Dubai Turf will be Almond Eye’s first start in four months, since she claimed the Japan Cup (G1, 2,400m) in a record 2:20.6. Her Shuka Sho (G1, 2,000m) victory last autumn came off a five-month break following a victory in the Yushun Himba (Japanese Oaks, G1, 2,400m), so the only concern will be whether she can handle the long overseas travel. 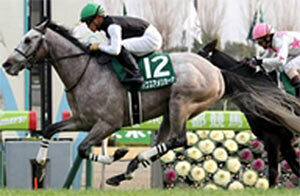 Her racing plan for this year after the Dubai Turf is yet to be determined but expectations are running high for a long-awaited Japanese title in the Prix de l’Arc de Triomphe (G1, 2,400m) in the fall, so the outcome of her first overseas trip this spring is attracting much attention. Two other Japanese runners will start in the Dubai Turf, including Vivlos (JPN, M6, by Deep Impact), who won the race in 2017 but was second last year. 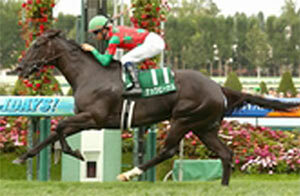 The Deep Impact (JPN, by Sunday Silence) mare has been winless since, finishing fourth and eighth after her return to Japan, but she was second in the Hong Kong Mile (G1, 1,600m) in December and reversed her retirement plan as of the end of 2018 for another shot at claiming her second Dubai Turf title. 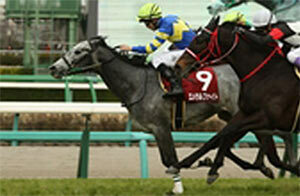 The other Dubai Turf entrant, 2017 Shuka Sho winner Deirdre (JPN, M5, by Harbinger), placed third in the race last year. She followed up two more grade-race titles back home and then confirmed her ability to travel well with a runner-up effort in the Hong Kong Cup (G1, 2,000m). 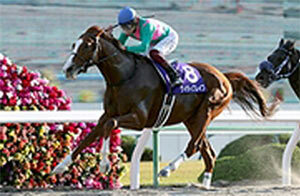 The Dubai Sheema Classic has three Japanese starters. 2017 Tokyo Yushun (Japanese Derby, G1, 2,400m) victor Rey de Oro (JPN, H5, by King Kamehameha), who was affected by the slow pace in last year’s race and finished fourth, won his comeback start in the fall and registered his second G1 title in the Tenno Sho (Autumn) (G1, 2,000m). The subsequent 2018 Best Older Colt or Horse was a neck short in the year-end Arima Kinen (G1, 2,500m), carrying 2 kg more than the winner. 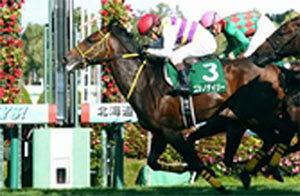 Suave Richard (JPN, H5, by Heart’s Cry) claimed his first G1 title in the Osaka Hai (G1, 2,000m) last year. Winless in three G1 starts thereafter, but finishing third in two, he passed up the Arima Kinen to prepare for his first overseas challenge in Dubai. The 2017 Japan Cup victor, Cheval Grand (JPN, H7, by Heart’s Cry), is also winless since but remains consistent over distances of 2,400 meters or more, finishing second and third in the Tenno Sho (Spring) (G1, 3,200m) and the Arima Kinen, respectively. 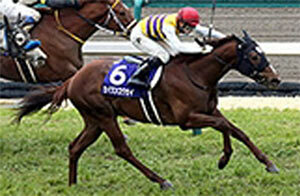 The mature seven-year-old has plans for more overseas travel if he’s successful in Dubai. The Dubai World Cup (G1, dirt, 2,000m) will be contested by K T Brave (JPN, H6, by Admire Max), winner of the 2017 Teio Sho (dirt, 2,000m), 2018 Kawasaki Kinen (dirt, 2,100m) and JBC Classic (dirt, 1,900m). Although disappointed to 11th as second favorite in last year’s Champions Cup (G1, dirt, 1,800m), the son of Admire Max (JPN, by Sunday Silence) is well suited over distances between 1,900 and 2,100 meters at which he has registered 6-4-2 out of 14 starts. 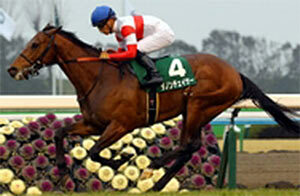 The key will be how well he is able to handle the dirt surface in Dubai. Matera Sky (USA, H5, by Speightstown) makes his second consecutive Dubai Golden Shaheen (G1, dirt, 1,200m) challenge this year. 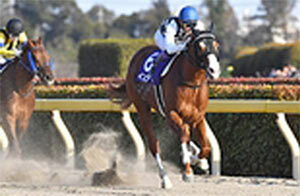 Fifth last year, the US-bred five-year-old won his first two starts back in Japan, including his first grade-race victory, and emerged as a top-class dirt sprinter, finishing a neck-second in the JBC Sprint (dirt, 1,200m) in the fall. Nonkono Yume (JPN, G7, by Twining), winner of the 2018 February Stakes (G1, dirt, 1,600m), will be running in the Godolphin Mile (G2, dirt, 1,600m). 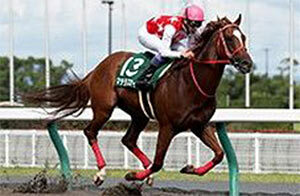 Three-year-old Derma Louvre (JPN, C3, by Pyro), who has three wins including the Hyogo Junior Grand Prix (dirt, 1,400m) out of six starts on dirt, will start in the UAE Derby (G2, dirt, 1,900m) and possibly challenge the U.S. 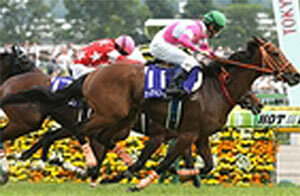 Triple Crown depending on the outcome of the race. 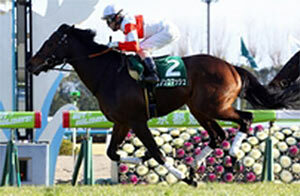 Among the above-mentioned Dubai challengers, Suave Richard and Deirdre both kicked off their 2019 campaigns in the Nakayama Kinen (G2, 1,800m) on February 24, finishing fourth and sixth, respectively. 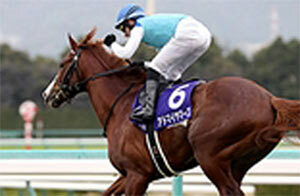 Runners traveling overseas other than to Dubai include Kluger (JPN, H7, by King Kamehameha) who will fly to Australia for the Doncaster Mile (G1, 1,600m) on April 6. 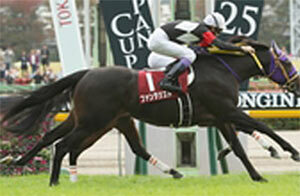 The King Kamehameha (JPN, by Kingmambo) horse was sidelined for a year after sustaining a knee fracture in his right foreleg following a victory in the 2016 Milers Cup (G2, 1,600m). Since then he has only managed a second and a third at the G3 level. 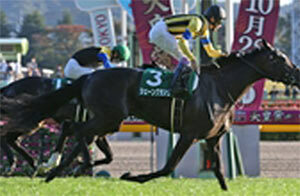 Lys Gracieux (JPN, M5, by Heart's Cry) will head for the Hong Kong’s Queen Elizabeth II Cup (G1, 2,000m) on April 28 after a runner-up effort in the Kinko Sho (G2, 2,000m) on March 10. The 2018 Best Older Filly or Mare scored her first G1 victory in the Queen Elizabeth II Cup (G1, 2,200m) last fall, and then finished second in the Hong Kong Vase (G1, 2,400m), proving herself well suited to the track in Hong Kong. Win Bright (JPN, H5, by Stay Gold), who has already scored two wins this season and successfully defended his title in the Nakayama Kinen, will join Lys Gracieux in the Hong Kong’s Queen Elizabeth II Cup. Last season’s three-year-old group upstaged their senior rivals by claiming the majority of fall G1 majors, including the Mile Championship (G1, 1,600m), the Japan Cup, the Champions Cup and the Arima Kinen. 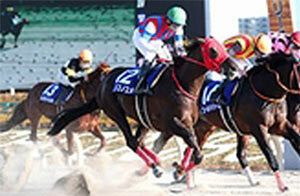 This year they are likely to continue dominating into their four-year-old seasons. 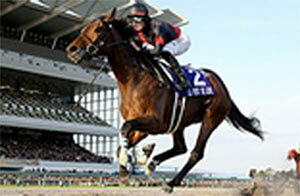 The Osaka Hai on March 31 will stage a line-up of top turf runners of all ages beginning with a tough group of four-year-olds, including Arima Kinen champion Blast Onepiece (JPN, C4, by Harbinger), who could be targeted at the Arc depending on how his spring campaign progresses. Wagnerian (JPN, C4, by Deep Impact), who out-finished Blast Onepiece in the Tokyo Yushun, proceeded to win the Kobe Shimbun Hai (G2, 2,400m) in his fall debut but was turned out for the rest of the season to recover properly and start fresh into his four-year-old season, which begins with the Osaka Hai. 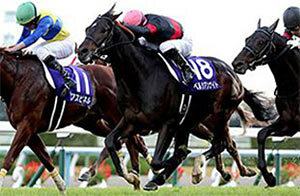 Stelvio (JPN, C4, by Lord Kanaloa), fourth and eighth in his two classic starts, demonstrated his best form over a mile when the 2017 Asahi Hai Futurity Stakes (G1, 1,600m) runner-up claimed his first G1 title against his seniors in the Mile Championship last fall. 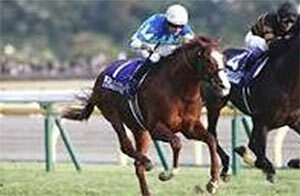 Meanwhile, Epoca d’Oro (JPN, C4, by Orfevre) won the Satsuki Sho (Japanese 2000 Guineas, G1, 2,000m) and was also a close second in the Tokyo Yushun. 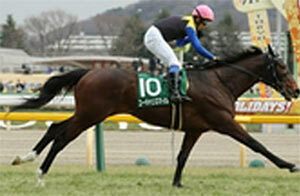 In the fall, however, he was unable to maintain his form, finishing fourth and eighth, and then was given the rest of season off after the Kikuka Sho (Japanese St. Leger, G1, 3,000m). 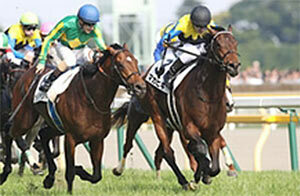 Both Stelvio and Epoca d’Oro kicked off their four-year-old seasons in the Nakayama Kinen, collecting a third and a fifth, respectively. The 2017 Kikuka Sho winner Kiseki (JPN, H5, by Rulership) remains one of the most consistent five-year-olds, having finished third in the Tenno Sho (Autumn) and second in the Japan Cup. Other Osaka Hai starters from the five-year-old group include Al Ain (JPN, H5, by Deep Impact) and Persian Knight (JPN, H5, by Harbinger), winners of the Satsuki Sho and the Mile Championship, respectively, during their three-year-old seasons. 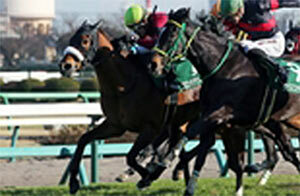 Both horses also ran in the Kinko Sho, finishing fourth and fifth, respectively, along with 2018 Tenno Sho (Autumn) runner-up Sungrazer (JPN, H5, by Deep Impact) and multiple grade-race winners Danburite (JPN, H5, by Rulership) and Stiffelio (JPN, H5, by Stay Gold). 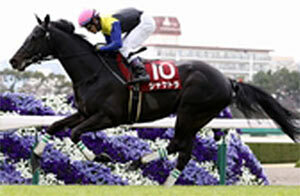 Mozu Katchan (JPN, M5, by Harbinger), the 2017 Queen Elizabeth II Cup winner, was unable to recover after finishing ninth in the Kinko Sho and will pass up her entry in the Osaka Hai. 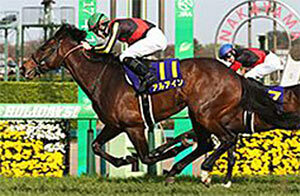 Although 2016 Best Three-Year-Old Colt Satono Diamond (JPN, by Deep Impact) and last year’s Takarazuka Kinen (G1, 2,200m) victor Mikki Rocket (JPN, by King Kamehameha) have both retired to stud, derby winner Makahiki (JPN, H6, by Deep Impact) remains in training to face the aforementioned younger age group in the Osaka Hai, coming off a third-place finish in the Kyoto Kinen (G2, 2,200m) on February 10. In addition to the Osaka Hai runners headed for the Tenno Sho (Spring) on April 28 as their next target, other probable starters in the race include Glory Vase (JPN, C4, by Deep Impact), winner of this year’s Nikkei Shinshun Hai (G2, 2,400m) on January 13, and Sciacchetra (JPN, H6, by Manhattan Cafe), who kicked off the year with a win in the American Jockey Club Cup and turned in an overwhelming five-length victory in the Hanshin Daishoten (G2, 3,000m) on March 17. 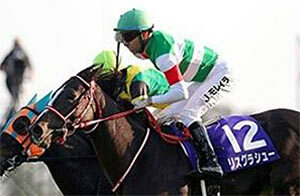 Fierement (JPN, C4, by Deep Impact), 2018 Kikuka Sho champion, kicked off his 2019 season with a runner-up effort in the American Jockey Club Cup (G2, 2,200m) on January 20. While 2018 Kikuka Sho third-place You Can Smile (JPN, C4, by King Kamehameha) will come off his first graded win in the Diamond Stakes (G3, 3,400m) on February 16, Etario (JPN, C4, by Stay Gold), runner-up in the 2018 Kikuka Sho, is expected to come off his four-year-old season kick-off, the Nikkei Sho (G2, 2,500m) on March 23, prior to the Tenno Sho (Spring). 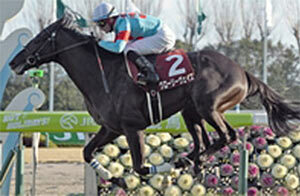 The JRA’s turf G1 begins with the Takamatsunomiya Kinen (G1, 1,200m) on March 24 at Chukyo Racecourse. 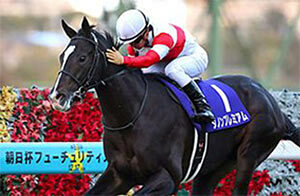 Last year’s champion and 2018 Best Sprinter or Miler Fine Needle (JPN, by Admire Moon) has retired from racing, so attention has shifted to Danon Smash (JPN, C4, by Lord Kanaloa). 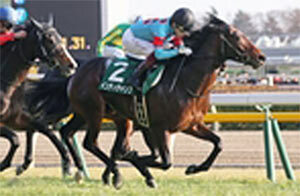 The four-year-old, since stepping down in distance to 1,200 meters last summer, has proved successful with back-to-back graded victories in the Keihan Hai (G3, 1,200m) on November 25 and the Silk Road Stakes (G3, 1,200m) on January 27. 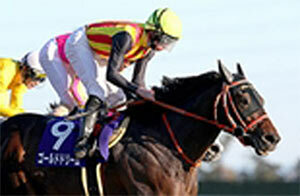 The field will also include 2017 Takamatsunomiya Kinen winner Seiun Kosei (JPN, H6, by Admire Moon), who finished 15th in his 2019 kick-off in the Silk Road Stakes; Dea Regalo (JPN, M5, by Manhattan Cafe), who registered her first grade-race title in the Kyoto Himba Stakes (G3, 1,400m) on February 16; last year’s Takamatsunomiya Kinen runner-up Let’s Go Donki (JPN, M7, by King Kamehameha), who is coming off a second in the Hankyu Hai (G3, 1,400m) on February 24; and Mozu Superflare (USA, F4, by Speightstown) and Nac Venus (JPN, M6, by Daiwa Major), who finished first and second, respectively, in the Ocean Stakes (G3, 1,200m) on March 2. 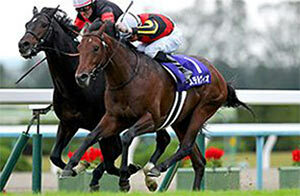 The Victoria Mile (G1, 1,600m) on May 12 for four-year-old-and-up fillies/mares is without the now-retired defending champion, Jour Polaire (JPN, by Deep Impact), and last year’s runner-up Lys Gracieux, who will be away in Hong Kong. This will raise the chances for Aerolithe (JPN, M5, by Kurofune), fourth last year and a G1 winner in the 2017 NHK Mile Cup, who hopes to bounce back from her ninth-place finish in the Pegasus World Cup Turf (G1, 1,900m) in the USA on January 26. 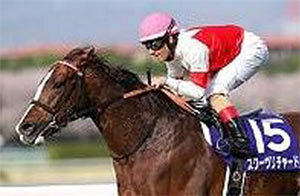 The Kurofune (JPN, by French Deputy) mare has a record of 3-2-0 out of six starts at Tokyo Racecourse. 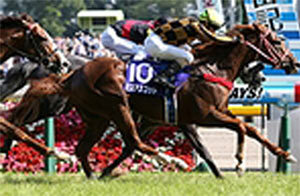 Also aiming for a second G1 title in the Victoria Mile is Lucky Lilac (JPN, F4, by Orfevre), the 2017 Best Two-Year-Old Filly, who was winless in her three-year-old fillies’ Triple Crown last year, finishing no higher than second in the Oka Sho (Japanese 1000 Guineas, G1, 1,600m). 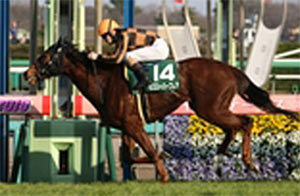 The Orfevre (JPN, by Stay Gold) filly was second in the Nakayama Kinen, her first start of this season. 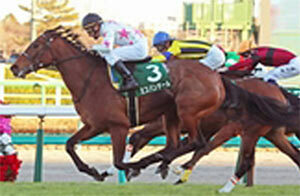 Four-time graded winner Miss Panthere (JPN, M5, by Daiwa Major) finished fifth in the Kyoto Himba Stakes (G3, 1,400m) on February 16. 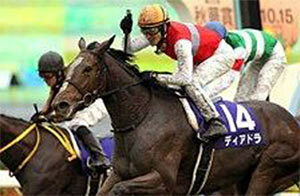 Both Lucky Lilac and Miss Panthere will be starting in the Hanshin Himba Stakes (G2, 1,600m) on April 6. 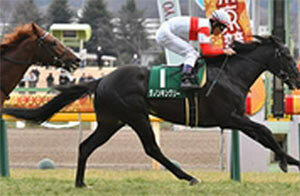 Frontier Queen (JPN, M6, by Meisho Samson), winner of the Nakayama Himba Stakes (G3, 1,800m) on March 9, is scheduled to head towards the Victoria Mile. 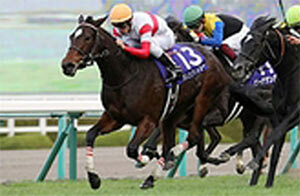 Connections of 2017 Victoria Mile champion Admire Lead (JPN, M6, by Stay Gold) announced her retirement following the Stay Gold (JPN, by Sunday Silence) mare’s 10th-place finish in the Nayakayama Himba Stakes. 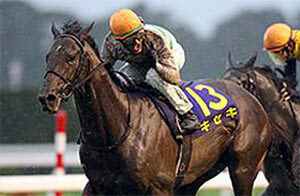 Last year’s Yasuda Kinen (G1, 1,600m) champion Mozu Ascot (USA, H5, by Frankel) was defeated to 13th due to disadvantages in the fall Mile Championship and was seventh in the following Hong Kong Mile. 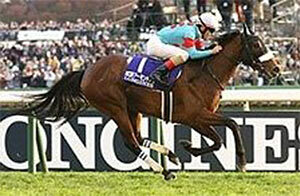 The son of Frankel (GB, by Galileo) is hoped to pick up his form this year beginning with the Milers Cup on April 21 or the Keio Hai Spring Cup (G2, 1,400m) on May 11. 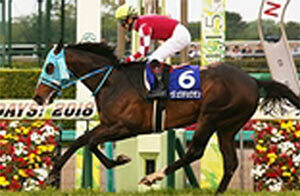 Smart Odin (JPN, H6, by Danon Chantilly), who scored his fourth grade-race title in the Hankyu Hai, will also run in the Keio Hai Spring Cup prior to the Yasuda Kinen on June 2. Meanwhile, 2017 Best Two-Year-Old Colt Danon Premium (JPN, C4, by Deep Impact), who was sidelined with a hoof problem after finishing sixth in the Tokyo Yushun last year, will be stepping down in distance. 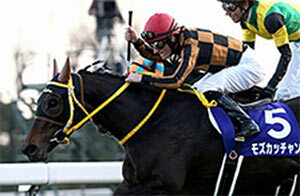 After a dominating performance in his comeback start, the Kinko Sho, he will pass up the Osaka Hai in favor of the Milers Cup in mid-April and then head for the Yasuda Kinen. 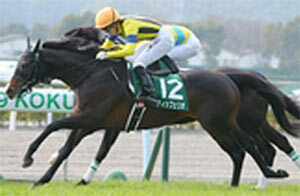 The Yasuda Kinen is expected to include runners from the Osaka Hai as well, including Stelvio, Persian Knight and Al Ain. 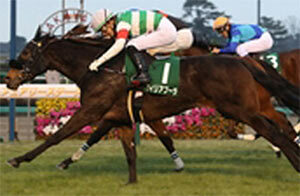 Aerolithe is also expected to aim for the title after her start in the Victoria Mile. Other possible Yasuda Kinen starters include Pax Americana (JPN, C4, by Kurofune), winner of the Kyoto Kimpai (G3, 1,600m) on January 5, Indy Champ (JPN, C4, by Stay Gold), winner of the Tokyo Shimbun Hai (G3, 1,600m) on February 3, and 2018 NHK Mile Cup (G1, 1,600m) winner Keiai Nautique (JPN, C4, by Deep Impact)—with all three colts slated to run in the Milers Cup in April prior to the Yasuda Kinen. Oju Chosan (JPN, H8, by Stay Gold), the three-time (2016-2018) Best Steeplechase Horse, switched to flat racing following his victory in the Nakayama Grand Jump (J-G1, 4,250m) and was not disgraced when beaten to ninth in the “All-Star” Arima Kinen. 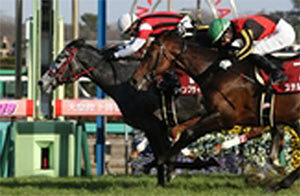 The history-making jumper made his 2019 comeback over obstacles and landed his 10th graded title in the Hanshin Spring Jump (J-G2, 3,900m) on March 9. 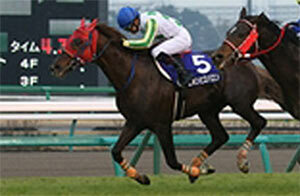 He will aim for a fourth title in the Nakayama Grand Jump on April 13. Nihonpiro Baron (JPN, H9, by Fusaichi Richard), who won the Nakayama Daishogai (J-G1, 4,100m) last December in Oju Chosan’s absence and will make his first start since then in the Nakayama Grand Jump, will face the defending champion against whom he finished third last year. The first JRA-G1 event of the season, the February Stakes, was won by Inti (JPN, H5, by Came Home), who came off a six-race winning streak to out-finish 2017 Best Dirt Horse Gold Dream (JPN, H6, by Gold Allure) by a neck, landing him his first G1 title. 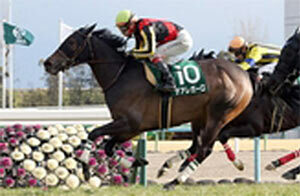 Inti and Gold Dream will join 2018 Best Dirt Horse Le Vent Se Leve (JPN, C4, by Symboli Kris S), who passed up the February Stakes with a minor problem in his left foreleg, in the Kashiwa Kinen (Dirt 1,600m) on May 6 and then the Teio Sho (dirt, 2,000) on June 26. Aspiring three-year-olds are picking up steam towards their Classics bids. 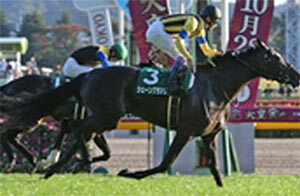 The Hanshin Juvenile Fillies (G1, 1,600m) victor, Danon Fantasy (JPN, F3, by Deep Impact), commenced her 2019 season in the Tulip Sho (G2, 1,600m) at Hanshin Racecourse on March 2, which is the main prep towards the first leg of the Triple Crown for fillies, the Oka Sho. 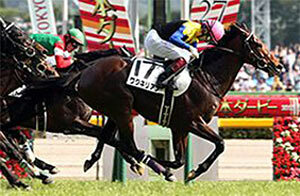 The Best Two-Year-Old Filly of 2018, trapped behind a wall of horses in the early stretch, switched paths to the outside at the furlong marker and charged home to victory a length ahead of Shigeru Pink Dia (JPN, F3, by Daiwa Major) and Noble Score (JPN, F3, by Deep Impact), who was a nose late in third, as the three secured their tickets to the Oka Sho. 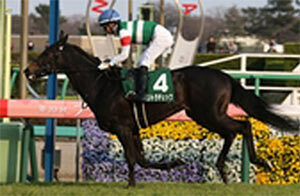 2018 Artemis Stakes (G3, 1,600m) winner Schon Glanz (JPN, F3, by Deep Impact) was fifth in the Tulip Sho. 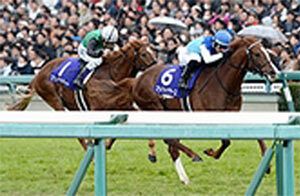 No One (JPN, F3, by Heart’s Cry) and Pourville (JPN, F3, by Le Havre) earned their Oka Sho bookings a week later in the Fillies’ Revue (G2, 1,400m), where they tied for the win in a dead-heat photo-finish. 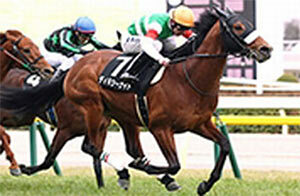 They will be joined by Juranville (JPN, F3, by Kinshasa no Kiseki), who was a half-length back in third. 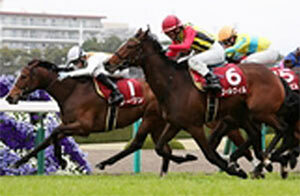 Regard Calme (JPN, F3, by Lord Kanaloa) and Red Aster (JPN, F3, by Deep Impact) were also granted berths in the coming first leg of the fillies’ triple as the top two finishers in the Anemone Stakes (Listed, 1,600m), another Oka Sho trial that was held on the same day as the Fillies’ Revue. Red Aster made rapid headway rounding the last two turns but was a 3/4-length short of the winner, Regard Calme, who displayed a good burst of speed from a handy position earlier. 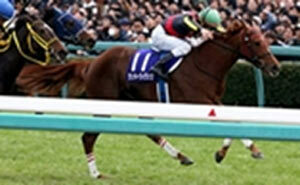 Prior to the above trial races, the Hanshin Juvenile Fillies runner-up Chrono Genesis (JPN, F3, by Bago) and third-place finisher Beach Samba (JPN, F3, by Kurofune) kicked off their three-year-old campaigns in the Queen Cup (G3, 1,600m) on February 11. Together they stormed down the stretch, picking off most of the field after advancing from rearward positions, before Chrono Genesis claimed a hard-fought win by holding off Beach Samba, who reached the wire a neck behind in second. 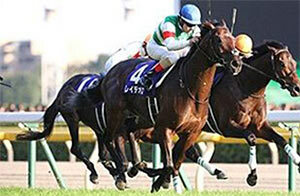 Other key runners among the Oka Sho field will include Figlia Pura (JPN, F3, by Harbinger) and Aqua Mirabilis (JPN, F3, by Victoire Pisa), who respectively claimed the Fairy Stakes (G3, 1,600m) on January 12 and the Elfin Stakes (Listed, 1,600m) on February 2. Gran Alegria (JPN, F3, by Deep Impact), who finished third against male opponents in the Asahi Hai Futurity Stakes, will make her three-year-old season debut in the Oka Sho. 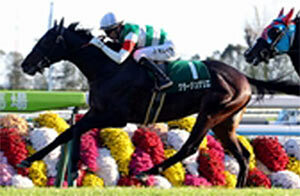 Contra Check (JPN, F3, by Deep Impact), winner of the Flower Cup (G3, 1,800m) on March 16, is likely to head for the Yushun Himba, the second leg of the fillies Triple Crown. The 2018 Best Two-Year-Old Colt, Admire Mars (JPN, C3, by Daiwa Major), concluded a flawless two-year-old season by going undefeated in all four starts, including the Asahi Hai Futurity Stakes, but kicked off this season with a second by 1-1/4 lengths in the Kyodo News Service Hai (G3, 1,800m) on February 10. 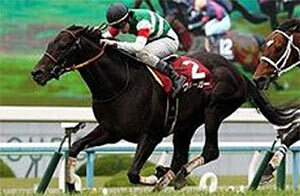 The Daiwa Major (JPN, by Sunday Silence) colt ran out of steam after setting the pace and was caught before the furlong marker by the hard-charging Danon Kingly (JPN, C3, by Deep Impact), who displayed a good turn of foot from sitting off the pace in third earlier. 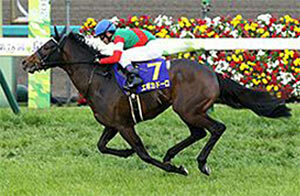 Admire Mars will now head towards the Satsuki Sho on April 14 then the NHK Mile Cup on May 6. 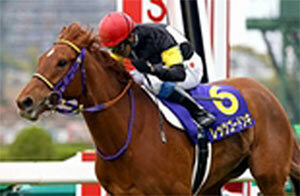 Kyoto Nisai Stakes (G3, 2,000m) victor Courageux Guerrier (JPN, C3, by King Kamehameha) was four lengths further back in third. 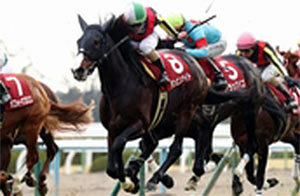 On March 3, Meisho Tengen (JPN, C3, by Deep Impact) claimed the Yayoi Sho (G2, 2,000m), the main trial race towards the Satsuki Sho, by holding off a hard-charging Schwarz Riese (JPN, C3, by Heart’s Cry) and Breaking Dawn (JPN, C3, by Victoire Pisa) in third, all three earning their tickets to the first leg of the Triple Crown. Meanwhile, two-time graded winner and Hopeful Stakes (G1, 2,000m) third-place finisher Nishino Daisy (JPN, C3, by Harbinger) and Keisei Hai (G3, 2,000m) victor Last Draft (JPN, C3, by Novellist) were sent off as the top two favorites in that order but finished fourth and seventh, respectively. 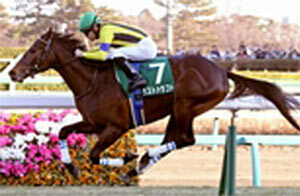 Other qualifiers for the Satsuki Sho include Velox (JPN, C3, by Just a Way) and World Premiere (JPN, C3, by Deep Impact), the top two finishers in the Wakaba Stakes (Listed, 2,000m) on March 16, and Emeral Fight (JPN, C3, by Kurofune), who bested a four-horse rally in the Spring Stakes (G2, 1,800m) on the following day, ahead of Fantasist (JPN, C3, by Lord Kanaloa) and Dixie Knight (JPN, C3, by Daiwa Major) in second and third. Asahi Hai Futurity Stakes runner-up Kurino Gaudi (JPN, C3, by Screen Hero) tired from setting the pace in the Spring Stakes and finished sixth. 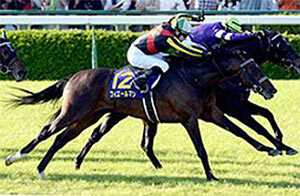 Other notable Satsuki Sho contenders include Satono Lux (JPN, C3, by Deep Impact), who registered his third consecutive win in the Sumire Stakes (Listed, 2,200m) on February 24, and the 2018 Hopeful Stakes runner-up Admire Justa (JPN, C3, by Just a Way), who finished a 0.2 second behind in second. 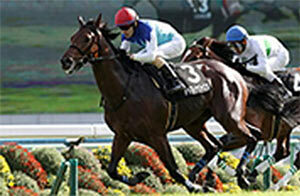 Saturnalia (JPN, C3, by Lord Kanaloa), the 2018 Hopeful Stakes champion, will head straight to the Satsuki Sho while Danon Chaser (JPN, C3, by Deep Impact), winner of the Kisaragi Sho (G3, 1,800m) on February 3, will pass the first leg of the Triple Crown and aim for a G1 title in the NHK Mile Cup on May 5 before proceeding to the Tokyo Yushun on May 26. 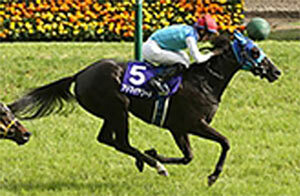 The New Zealand Trophy (G2, 1,600m) at Nakayama Racecourse on April 6 and the Arlington Cup (G3, 1,600m) at Hanshin on April 13 are regarded as trial races for the NHK Mile Cup, with Val d’Isere (JPN, C3, by Lord Kanaloa), who won the Shinzan Kinen (G3, 1,600m) on January 6, scheduled to run in the latter.